Working in the kitchen can be a lot of fun. Whether you’ve chosen the culinary arts as your profession or you simply enjoy spending time with family surrounded by home cooked meals, having the right tools is absolutely essential to your success in the kitchen. There’s no item that’s more important in your arsenal than the kitchen apron. Cooking in the kitchen can get messy, and without the right protective garment, your clothing could be exposed to grease splatter, splashing sauces, and more that could mean your shirt and pants end up in the garbage. But, that doesn’t mean you should be stuck with just any old apron! 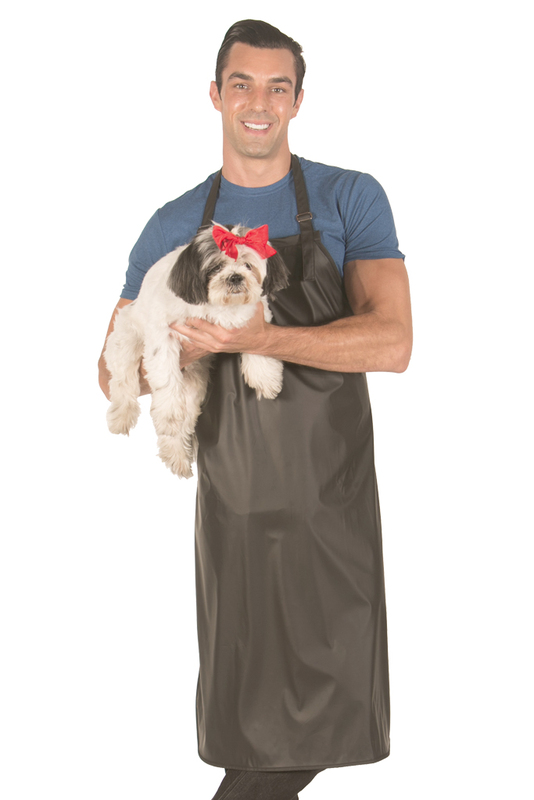 The kitchen aprons from Ladybird Line are extremely durable, but they’re also quite fashionable. From soufflés to homemade bread, pasta sauces, and more, we’ll make sure you look good, no matter how many mouths you have to feed. Most kitchen wear is extremely uninspired. It’s either a single shade of boring black or the ever popular kitchen red, or it is plastered with cheesy sayings and images. 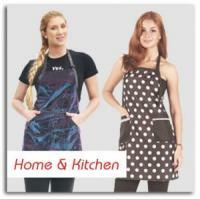 We believe in a higher caliber of kitchen aprons at Ladybird Line. You should feel good in the kitchen, which means feeling good in what you wear. It doesn’t matter if you have a flair for the dramatic or if you prefer small, unexpected details, we have the perfect apron for you. We definitely have looks that are perfect for both men and women, but we’re highly regarded in the industry for our fashion-forward, feminine styles. 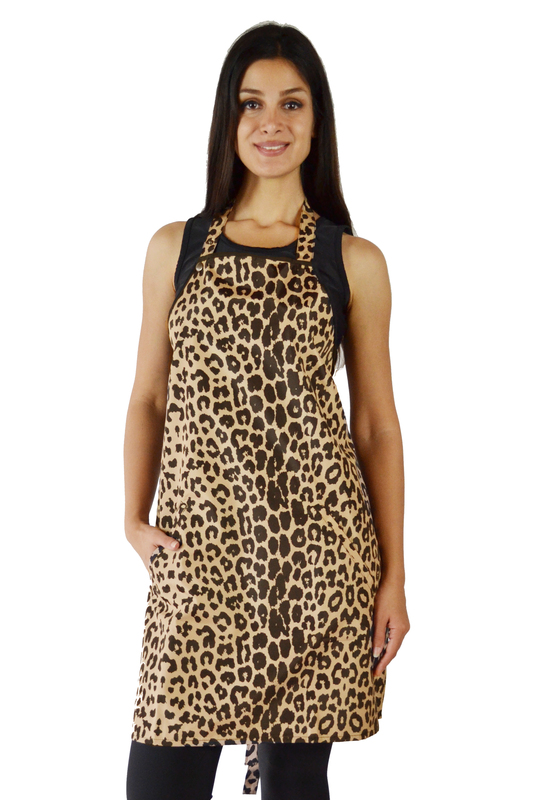 While other aprons have a boxy appearance, we make ours to flatter your figure. Our styles include adjustable backs, just like you would expect, but we add additional details that will enhance your waist and your neckline. Our rhinestone zipper apron is a popular choice because it includes a figure-enhancing band that calls attention to your waist. The sparkling blue apron has a flirty V neck without exposing too much skin, making it perfect for the kitchen. 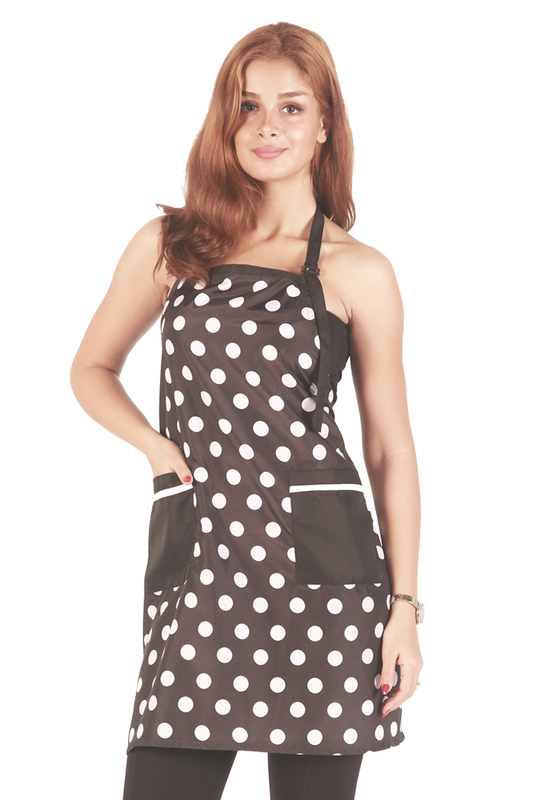 The black vintage dress apron is a fun choice because it has a flirty, flouncy bottom. Not only can you keep food messes off of your clothes, you’ll find that the options in our line are great for cleaning up around the house. 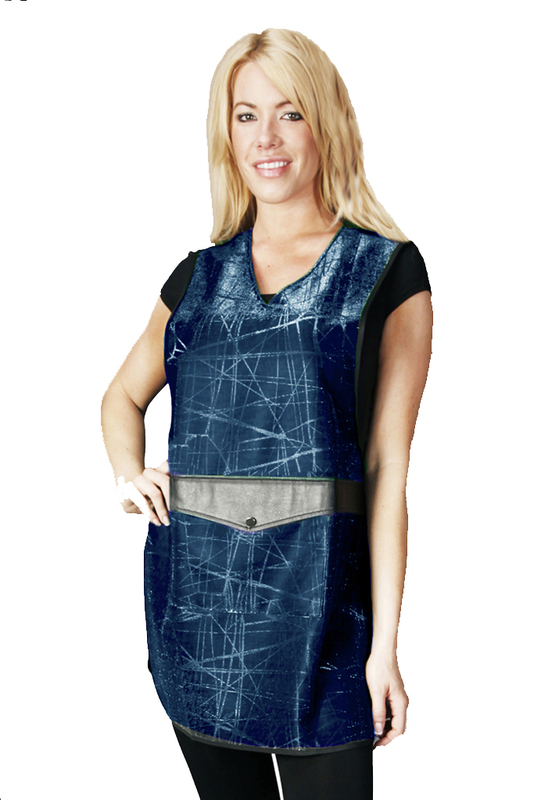 When you wear one of our aprons, you’ll never have to worry about that dreaded bleach spot on your shirt ever again! 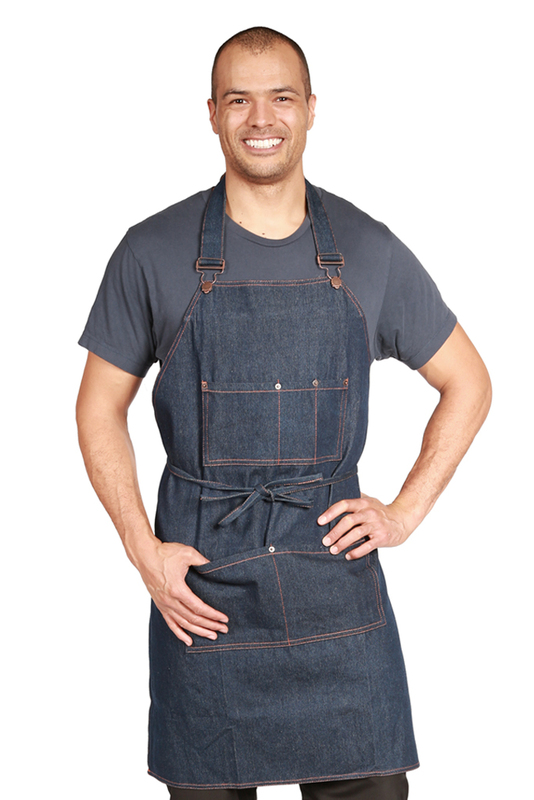 If you’re tired of dealing with messes in the kitchen by wearing an unflattering smock, buy one of our aprons for yourself, but our garments make great gifts too! Skip the cheesy kitchen apparel items that will just end up in the back of a closet and choose one that a friend or family member will actually look forward to wearing. If you work in the service industry and you want a cohesive look for your staff, we can help! We happily accept bulk orders of all sizes. As a matter of fact, some of our items are heavily discounted the more you add to your order! Don’t hesitate to contact us at any time during the ordering process. 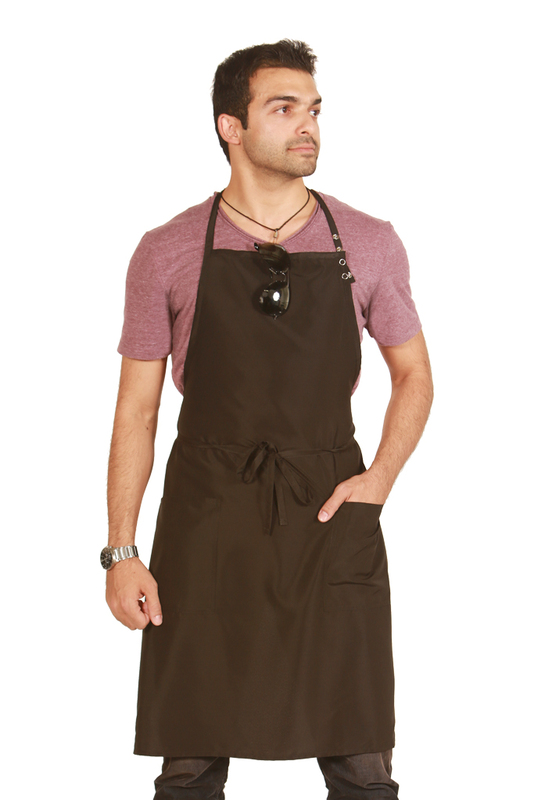 We’re happy to answer your questions and address your concerns so you can get the high-quality apron you deserve.